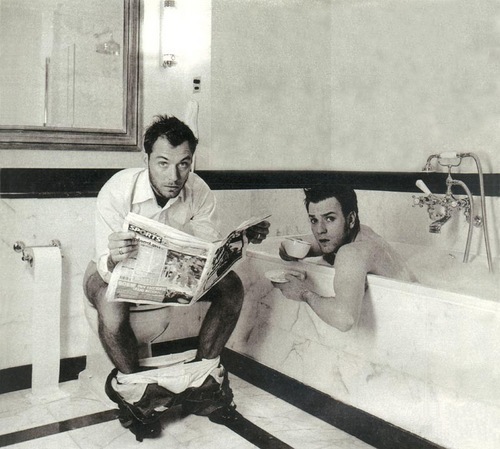 Ewan McGregor & Jude Law. Ewan with Jude Law. HD Wallpaper and background images in the Ewan McGregor club tagged: ewan mcgregor film jude law actor movie. This Ewan McGregor photo contains zeichen, plakat, text, tafel, schilder, and poster. There might also be zeitung, papier, magazin, tabloid, rag, zeitschrift, lappen, boulevard, and zeichentisch.